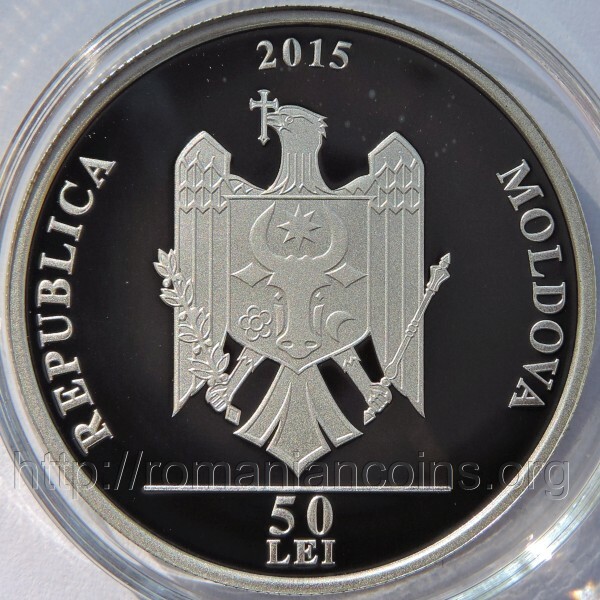 year 2015, circular inscription REPUBLICA MOLDOVA meaning "REPUBLIC OF MOLDAVIA" and the coat of arms of the Republic of Moldavia, in exergue horizontal line and denomination "50 LEI" an image of the church, circular inscription "BISERICA DE LEMN • ADORMIREA MAICII DOMNULUI • meaning "WOODEN CHURCH DORMITION OF THE MOTHER OF GOD"
The coin belongs to the series "Holy Places" [Buildings]. 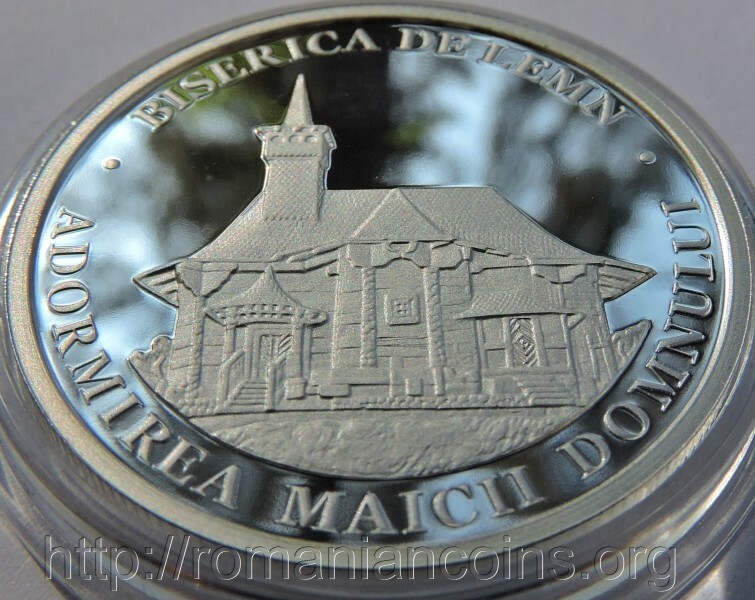 About the Wooden Church "Dormition"
The church was built in 1642 at the Hîrjauca Monastery, as founded by yeomen from the Hirişeni village next to the borough of Teleneşti. In 1821 the church was moved to Hirişeni, where it served as parish church and then as cemetery chapel. 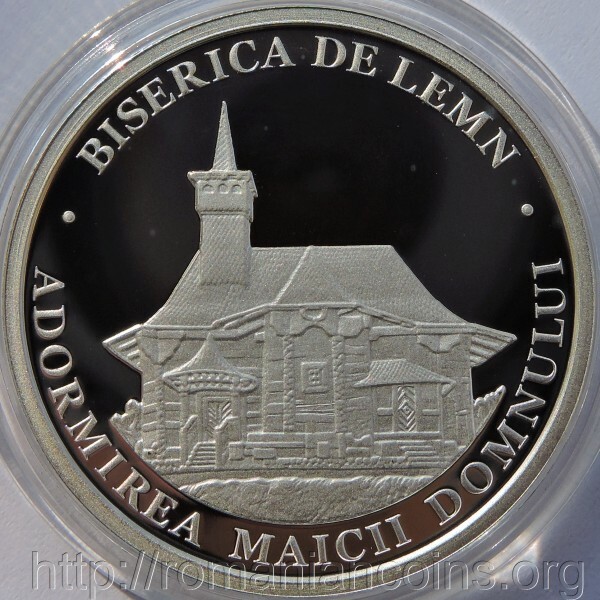 This beautiful and stately wooden church - 27 meters in height - reached the Village Museum in Chişinău in 2009. In 2011, after restoration, the church was consecrated again.